Combining Campingaz performance with a stylish wooden trolley that will accentuate any outdoor space, the new 3 Series Woody is perfect for creating delicious meals for family or friends. 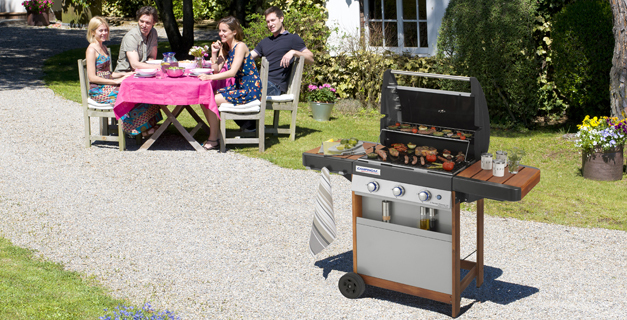 Offering consistent performance time after time, the 3 Series Classic barbecues includes the new Culinary Modular System for additional cooking options. Cooking and cleaning are equally easy thanks to high- performance stainless steel tube burners, that offer Even-Temp™, and the Campingaz InstaClean™ System.